Florida authorities were searching Sunday for a 33-year-old man after his wife and five children were found dead in their Naples, Florida, home. 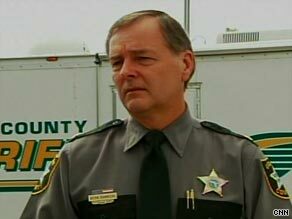 “I can tell you that in no uncertain terms this is the most horrific and violent event this community has ever experienced,” Collier County Sheriff Kevin Rambosk said at a news conference Sunday. “This is the worst of the worst.” The bodies of Guerline Damas, 32; Michzach, 9; Marven, 6; Maven, 5; Megan, 3; and Morgan, 11 months, were discovered Saturday, Rambosk said. Authorities have been unable to locate Mesac Damas, and believe he may have traveled to Haiti Friday morning. A family member had asked authorities on Friday to do a welfare check on the house, Rambosk said, and a sheriff’s deputy saw no sign of forced entry and was unable to make contact with anyone there. The following morning, the family member became more concerned and filed a missing persons report, which authorities took, Rambosk said. Later, authorities requested from property management a key to the house and an authorization to enter. “When we did, we found the bodies of the individuals,” he said. He would not release the manner of death. Rambosk said authorities had recovered Mesac Damas’ vehicle at Miami International Airport, and they believe that he left on a flight to Haiti on Friday. The sheriff did not call Damas a suspect in the deaths. “We don’t see at this point any indication of an individual out in the neighborhoods committing additional crimes or homicides, but certainly we will look at every opportunity,” he said. Rambosk said an initial check showed that there “has been some previous domestic violence” related to the family, but he did not elaborate.